Back in the early nineties, before the internet, Rob and Martha wrote a 'zine called “Disgraceland” (aka Deadelvis Fan Club). As a result, they were Guests of Honor at the 20th Chicago Comic-con where they hosted panels. They were written up in many publications including Mojo Magazine, Fact Sheet Five, Access Magazine, and Psychotronic Magazine. Rob and Martha were interviewed by the BBC and also by WLUP radio, in Chicago. Although years passed and jobs got in the way, the Southgate’s never lost their connection to the comic book and pop culture industry. In 2013, Rob’s love of podcasts spawned an idea for them to have their own network of shows. 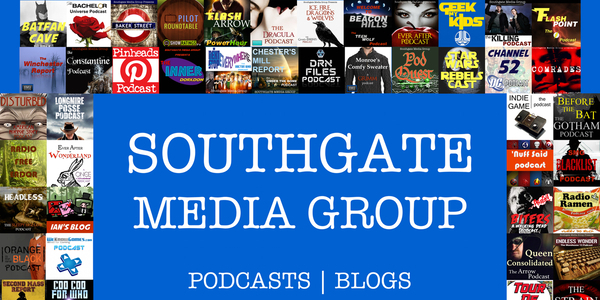 Together, they created The Southgate Media Group in June of 2013.